Are you looking for a way to make an impact after graduation? Are you passionate about service? Do you want to live abroad and learn a second language? 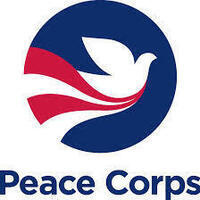 Peace Corps provides volunteers with all of the above, as well as professional skills and life-changing experiences. Learn more about opportunities with the Peace Corps from Oregon Regional Recruiter Lisa Snell, who will be visiting the UO campus on Monday, April 1! Drop by to visit Lisa in the EMU between 2 pm – 5 pm to get answers to your questions and learn more about preparing a competitive application.